It takes a set big kahones to spray that smoke-ring pattern, freehand..... I use Mike Grants' decals for mine. Kudos to you, sir. Superb conversion. That bird has some good lines. 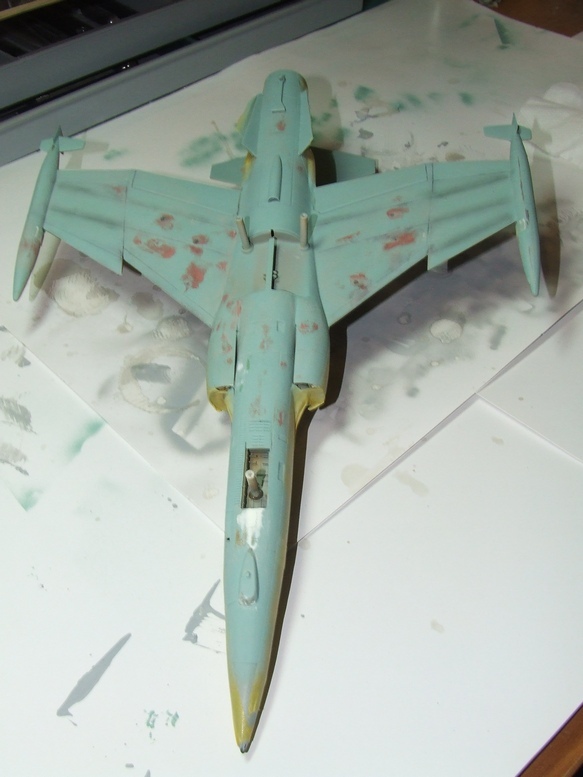 Would it be possible to lay down a green base coat, roll out Patafix or Blu-Tac to a very thin roll, use that for masking the smoke rings and then spray the sand colour?